Happy Monday! I thought it was high time for a snapshot post. Mostly because it has been too long since the last George photo! He is one photogenic rabbit! 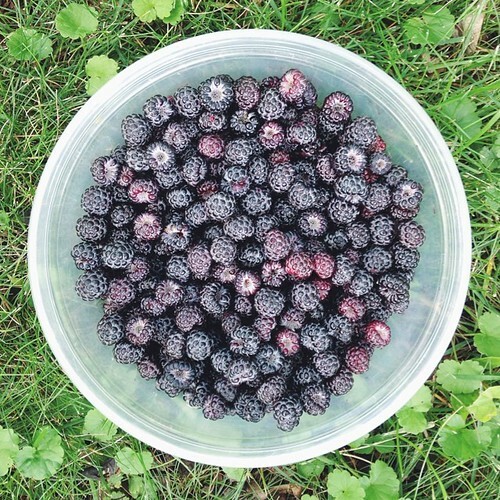 It is wild black raspberry season! I have been eating them as soon as I pick them. I did break down and make a couple batches of freezer jam. I had made it before but was so-so about it. This time I took the time to strain out the seeds and it's 1000x better! I am looking forward to enjoying it all year! I started a new knitting project! 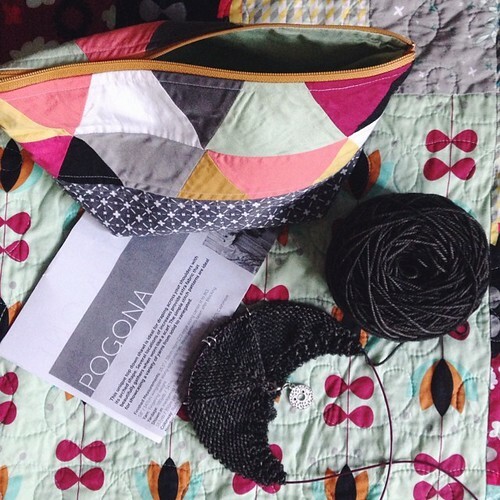 It's for the third quarter challenge over at Eat Sleep Knit. I'm knitting the Pogona Shawl by Stephen West. More info over on Ravelry. I put up some simple skinny shelves last week for some of my mini collections. 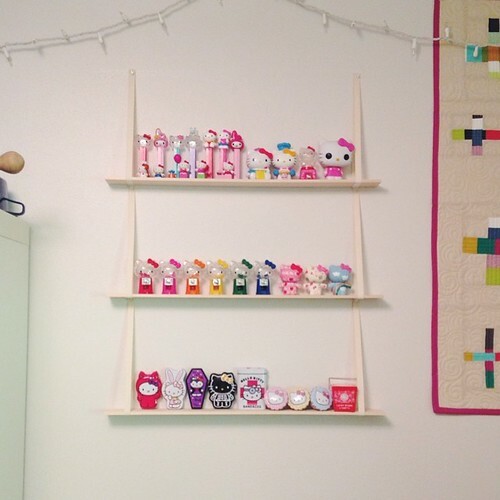 Some of my favorite Hello Kitty trinkets took over! I might shorten the loops and add another row, there are quite a few more HK tins! I have been putting some new knitting goodies to use lately! These are from my sweet friend Holly! 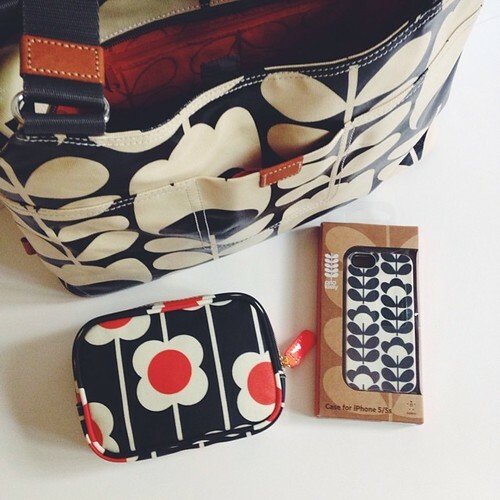 You can find the knitting gauge and thread organizer in her shop, here! Michael and I managed to get out the big camera on the 4th! We're making an effort to take more photos! I LOVE that last photo! Prince George!! I have just found your beautiful blog. Thank you for sharing such lovely photos. I just use the freezer jam recipe that comes in the Sure Jell pectin box! It's awesome and super simple! 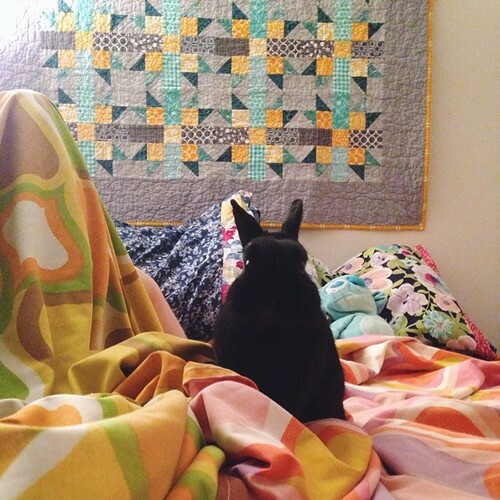 That bunny of yours has the life. He deserves it too, because he really works it as a model. Have a great day! George, you look so royal. George is starting a new trend. 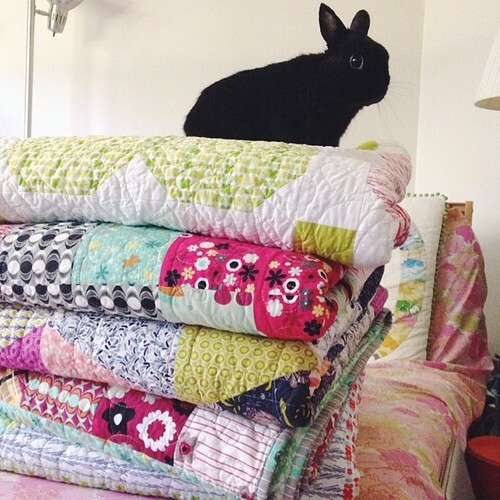 Instead of cats on quilts it is bunnies on quilts. 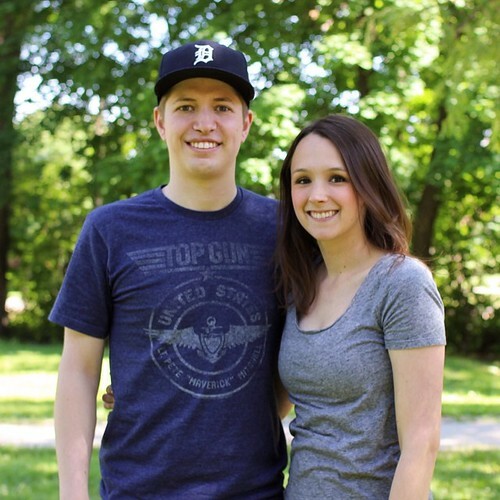 Jeni-you and Michael make such a cute couple. I am glad he gets on the blog now and then! Oh the photo of George is so adorable. I do think he is photogenic indeed! He is the cutest bunny I know.... and the other cute bunny is my brother's bunny Odie. I always love coming to your page and looking at what you have made and collected. I have a Hello Kitty collection of goodies too. Some people actually think she is weird!!!!!! I know, how awful and mean. I love Hello Kitty and her friends too. They are all sweet. Love the handbag and matching stuff. George always brings a smile. 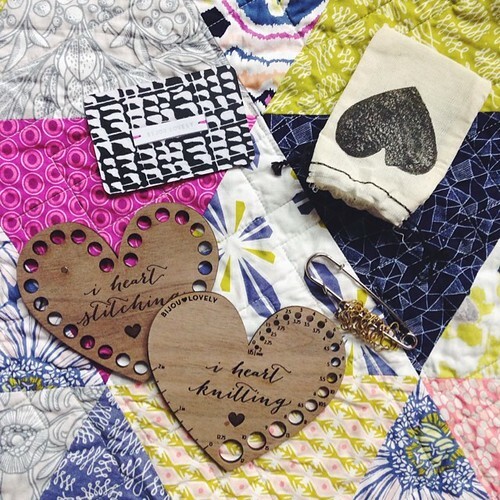 I love the colors in your quilt! Did you choose them to complement George? That Pogona shawl will be gorgeous in that yarn. Can't wait till Geometric Bliss is available!